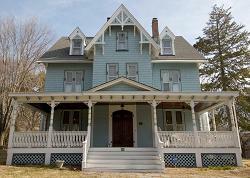 Have you ever wondered what it's like to restore an old house? Or live in one? These folks have been kind enough to share their stories with the world. 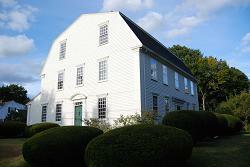 Welcome to our index of old house blogs and restoration stories. 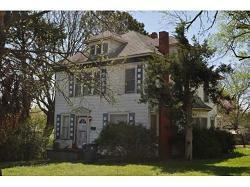 Our House - An 1890's one and a half story with cross gable dormers - All redwood construction - walls, floor, & ceilings. This is a restoration project. 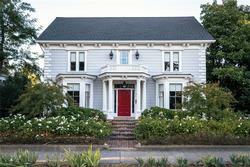 A vernacular Italianate in downtown Healdsburg California that has not been lived in for 60 years. 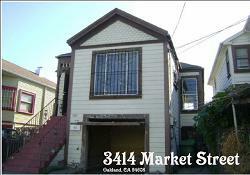 Not one single piece of this 4000 sq foot home does not need to be redone. Most folks think we are out of our minds as we tackle this monster ourselves. 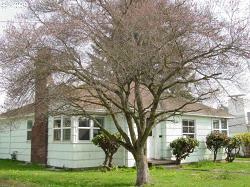 Originally the one-room schoolhouse for Monte Rio, CA, Sheridan School was decommissioned in 1942 and had fallen into significant disrepair when we bought it in 2009. 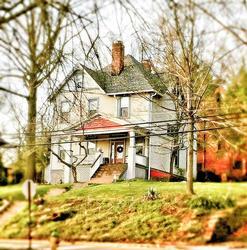 A 1600 sqft house that still retains some of its original work that we hope will re-emerge during our renovations. 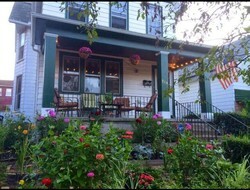 Come check out my blog about all things houses - including my own old house! This fabulous old estate on a lake was built in 1853 by the Governor of Connecticut. 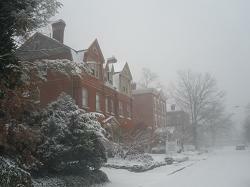 Its brick and stucco construction includes a four-story octagonal turret. 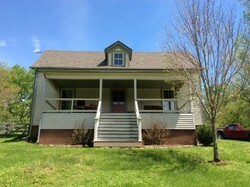 It was in one family for 158 years until we bought it in March 2011 and began to restore it. 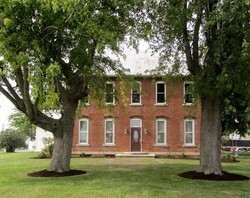 Historic Edwards Place was built in 1833 and enlarged in 1857. The Springfield Art Association is undertaking a full-scale interior restoration to its c. 1860 appearance. 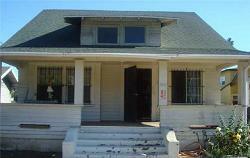 Have you ever wondered what it would be like to completely restore an old abandoned home? Well that's exactly what we're doing with this late 1800's Louisiana dog-trot. Follow us from the very beginning until she's move-in ready. 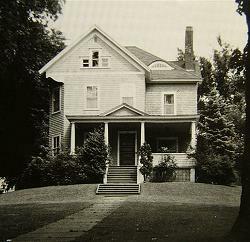 A large, classic Georgian colonial, the Daniel Dole house is a two storied gambrel house with a central hall plan. 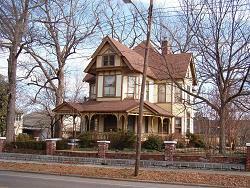 We have a passion for restoring old homes. We've done it many times in our own homes, but now we want to see if we can make it a business. 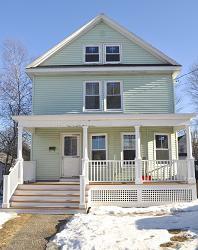 Our first project - a 1900 Victorian in Maine. Check out or blog to share our adventure! Part love story, part nightmare. 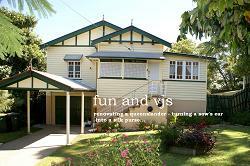 My blog tells it like it is, life amidst major renovation. 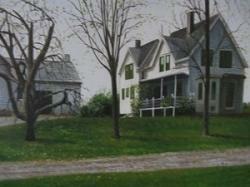 We are a family of five who bought an antique farmhouse in a small town. This has been quite the undertaking and most likely will continue to be for years to come. We are happy to share our trials with you and hope this site brings you a few laughs. 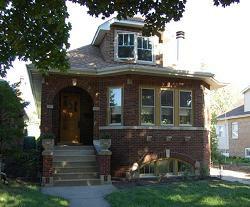 Vacant for over 5 years, this beautiful 1927 Tudor had become damaged due to burst water pipes. Break-ins, wild animals, and years of neglect left this home in shambles, but a young couple have nearly completed a full restoration/renovation of the space. 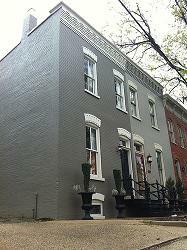 They have documented the home's history, rebuilt curved ceilings, and restored the home to its former glory! We currently are working on re-shingling the outside and replacing the Andersen casement windows that were added to the south side. 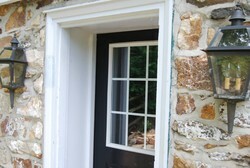 We are using all wood restoration windows that look like the original windows in the rest of the house. The house has some Flint Faience Tile. The grey color is the original color. 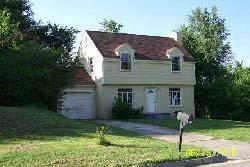 The original roof was dark green cedar shakes but in the 90s it was removed and replaced with dark green asphalt shingles. 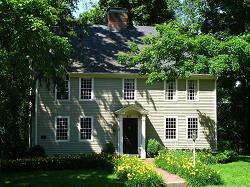 The house retains it hand hammered wrought iron decorative trim on three exterior doors of which one is a Dutch door. Follow our blog to see what we are up to next. You may ask yourself "what prompted this insanity?" Well, it started with HGTV's "If Walls Could Talk". Then My Beautiful Bride and I spent an anniversary getaway at the Hoyt House in Fernandina Beach, Florida followed by a stay at the Marshall House in Savannah, Georgia. 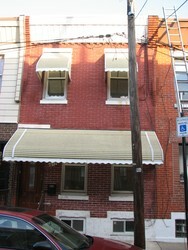 This prompted us to start looking for old houses nationwide, which included looking at houses on oldhouses.com. Anyway, this is my story and I'm sticking with it. The trials and tribulations of a NeoClassical/Queen Anne restoration/renovation undertaken by a now much wiser Do-It-Yourselfer and his family. 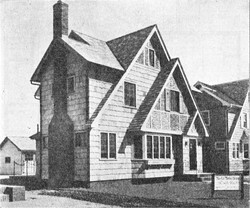 Watch the restoration of this 1883 Shingle Style property using old photos from a previous owner. Lots of before and after photos and how to information. 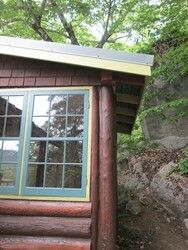 A beautiful Hudson River location. 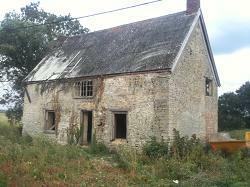 An act of love to save this home and barn from demolition, they will be dismantled and rebuilt on a new site. Beautiful details from vintage American homes that express the style of a house, with photos of stairs, windows, doors, fireplaces, ceiling ornaments and furnishings. 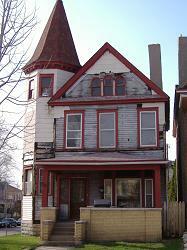 Resources to restore an old house for homeowners, architects and contractors. 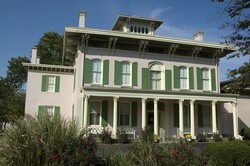 Historic house museums and walking tours. 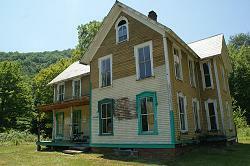 Restoring/Redecorating an original 1878 Schwieterman Family homestead and the farm buildings. Preserving Schwieterman history in Mercer County where our ancestors settled when arriving from Germany in 1836. 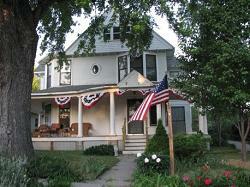 The restoration of a 1914 Craftsman-styled American Foursquare and a Second Empire. 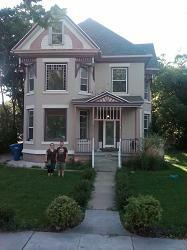 Young couple restoring this interesting house for fun. First major project on our own, and really excited! 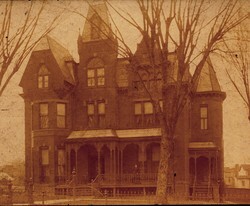 A Gothic Victorian with so many of its original features. We chronicle the renovation of a 19th century Pennsylvania limestone farmhouse - whose first inhabitant was a deserter from the Civil War - and the construction of an addition that adds modern living space. 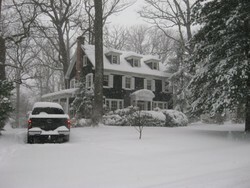 Blog about rejuvenating a Federal Home in Newport, RI. 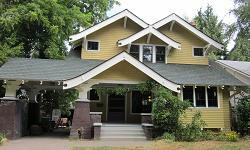 In this Old House Story, follow the journey of a family restoring an gorgeous old Queen Anne. 1893 Stick/Eastlake design by George F. Barber. Not for Sale: This 19th century farm is on the National Register of Historic Places and is one of the few remaining groups of structures of the early Norwegian Settlement of Norse, Bosque County, Texas, at the north end of the Hill Country. Built in the 1850s, it is currently a working ranch comprised of five stone buildings and hundreds of feet of intact dry-stack stone walls, some as tall as eight feet. Because the buildings and walls remain intact and relatively unchanged, we can see the similarity to Northern European farm buildings in their construction, stone work and siting. 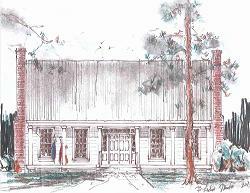 Texas Architect, Steve Chambers, A.I.A., is working with the present owners to preserve and renovate various structures at this ranch. 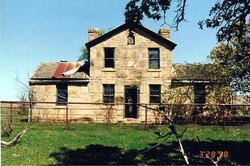 This home is the recipient of a 2006 Preservation Texas Award for Historic Rehabilitation. 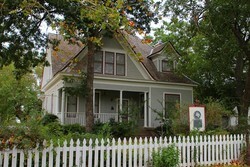 Not for Sale: Ralph Bowden, a Granbury merchant who served as a city councilman and established an early telephone system for the area, originally built this home for himself and his family near the courthouse square. The "Granbury Courthouse Square" became the first town square in Texas to be listed in the National Register and The National Trust for Historic Preservation has modeled its Main Street Program after Granbury's restoration efforts. The Hood County Courthouse restoration is beautiful and almost completed. 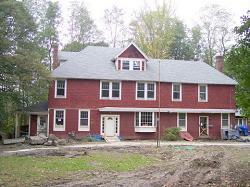 The renovation and restoration of a turn of the century Queen Anne Shingle Style home in St. Albans, Vermont. The 70s weren't good to many Victorians, including this one! We're doing our best to fix that. Old Town Home is dedicated to the DIY restoration and renovation adventures of a young couple in an old row home in the Alexandria, VA historic district. 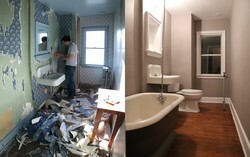 Young couple moves from Washington, DC and takes on the renovation of an 1850 Virginia farmhouse with a baby on the way and no idea what to expect! 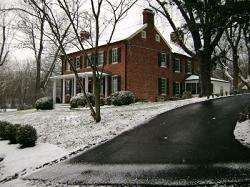 An 1836 Shenandoah Valley late Federal style brick farmhouse located in rural Frederick County, Virginia. This "fairytoon" (a combination of a fairytale and cartoon) journals a couple's restoration of a long neglected Colonial Revival house in the Ginter Park Historic District of Richmond, Virginia....turning a house into a home. 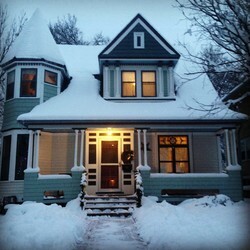 The Web's first and longest-running houseblog. 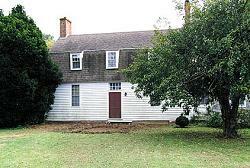 A Virginia family restores its ancestral home, in their family from 1762 to 1939 and then returned in 1999. 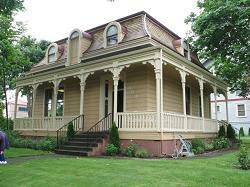 We have a beautifully restored French Second Empire Home in Vancouver, WA, that is now a law firm. 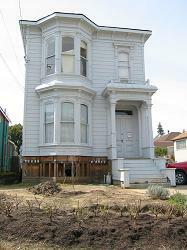 I understand this style of home is very uncommon on the west coast. 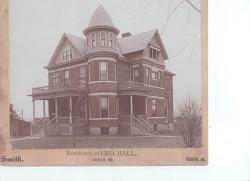 We have also done extensive genealogical research on the family who built the house. Owen Tudor Hedges House, also known as Fairstone and Cedar Grove, is a historic home located near Hedgesville, Berkeley County, West Virginia. 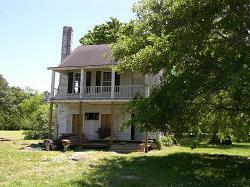 It was built in 1860 and is a two story, five bay, brick Greek Revival style dwelling with a gable roof. 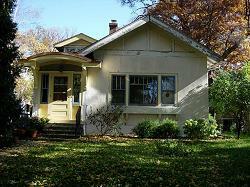 It features a one story, full width porch along the front facade, with a hipped roof. Also on the property is a barn (1859), ice house (c. 1870), slave house (c. 1860), outbuilding (c. 1870), two sheds (c. 1870), and a well house / gazebo (c. 1870). 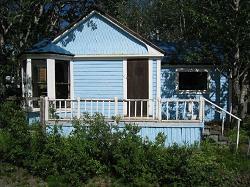 The Little Blue House was built during the Gold Rush of 1898. 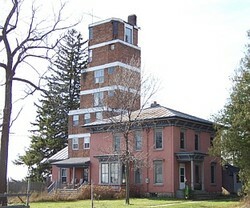 It was moved from Discovery, now a ghost town, to its current location around 1920. 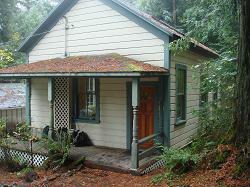 A young family has recently purchased the tiny Victorian house and is planning to restore it. Old Farmhouse in the Maritime Provinces of Canada. Not fancy, just solid! 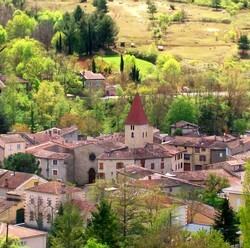 A diary of our restoration and renovation project- An old French village house. With limited time and a limited budget, two English folk are creating something special in an 11th century fortified village that time forgot. 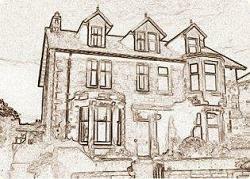 A photographic virtual tour of a 1879 traditional Scottish Victorian House being restored. 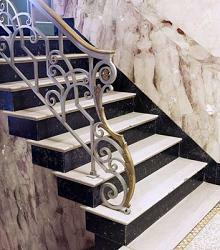 Contains 100s of before and after pictures, details of projects and restoration techniques as well as a history of the house and a good collection of useful links. Old House Blogs also appear in our archives, where you can search for them by style and specific location.